Influenster is a super popular website so I want to kind of explain what it's all about, how to use it and get the most out of it. By the most out of it, I mean the most involvement and free VoxBox's of products. Yes it's real, yes it's legitimate and you will be hooked by the end of this post! Influenster is not only in Canada, so many can take part of this awesome program. Influenster has changed a bit in the last years so I thought an explanation post was called for. VoxBox's are boxes of products fitting you, your likes, needs and sometimes wants. Voxbox's are free of charge. You never have to put out one penny to enjoy all aspects of Influenster. 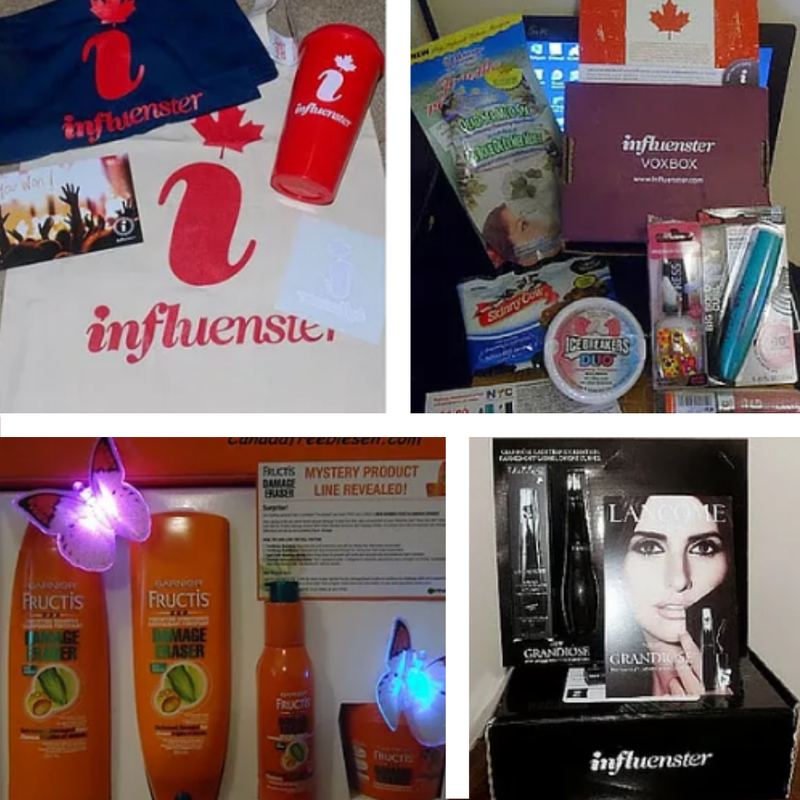 The key to Influenster and getting these much sought after free boxes is activity. Posting reviews on products you are currently using or have tried. Completing badges and connecting any and all social accounts to your Influenster account. A social community of sharing organic thoughts and experiences with products we use in our everyday life. A free program that rewards you for your online influence and for sharing. Something you will quickly be in love with! A box that comes to your home filled with certain products for you to try for free. Each box is different and geared to you and your likes. When answering survey's for VoxBox's be very honest with your answers, this ensures that your VoxBox will be something you will actually use. Where are the hidden fees? There is never a fee or shipping charge or any other sort of fee. This program helps company's showcase their new products get the word out, and in return, we as Influenster's reap the rewards of trying these products for free. Exactly How do You Get a VoxBox? Being active on the Influenster website is key. Complete your profile and all snaps in full. I will explain snaps next. Explore all areas of the website. Read other people's reviews and interact by leaving a helpful comment or suggestion. Put your own reviews up, of products you are using at home every day. Add Influenster to your safe email contacts, so you never miss a VoxBox survey emails. They are time sensitive. What the heck is an Influenster snap? A snap is a survey of sorts. When you sign into your Influenster account you will see snap on the left side of the page. If you have snaps waiting for you there will be a notification there. Usually, they are about 3-5 questions long and ask you about particular products or likes you may have. These help Influenster match you with the perfect VoxBoxes for you. So answer honestly. What social accounts should I have? There is nothing saying you must have an account on every single social platform, but having accounts on most will help your chances of getting VoxBoxes. After all the whole point of Influenster is to spread the word about products and honest organic reviews. Facebook. Twitter, Pinterest, Instagram, YouTube, Google Plus, Linkedin, FourSquare, and Tumblr. If you don't currently have accounts on these social media platforms, they are all free and very easy to sign up and set up. If you're serious about Influenster it will be to your benefit. 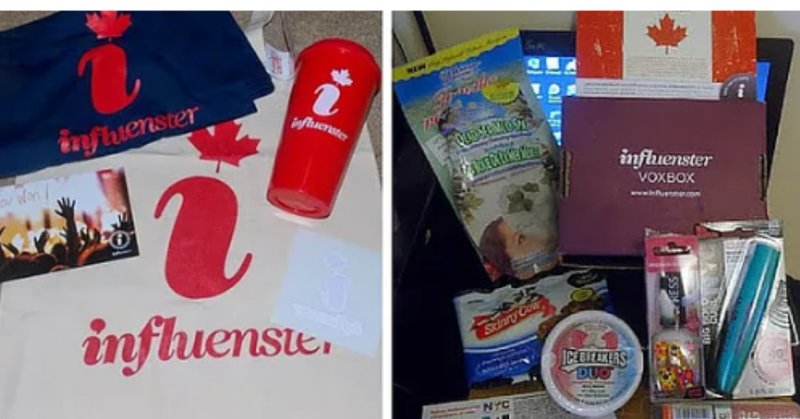 Overall Influenster is a top favorite of mine and lots of fun. I hope you join and become an Influenster & love getting the free Voxbox's as much as I do.